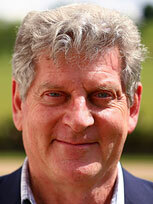 Merlin Stone is Professor of Marketing and Strategy at St Mary’s University, Twickenham, London. He is one of the UK's leading consultants, researchers, lecturers and trainers in marketing, customer insight and customer management in real and digital environments and has also worked for significant periods in industry, including at Xerox and IBM. His work has focused mainly on improving real and digital customer experience, satisfaction, loyalty and trust, and also on the strategies, customer insight, research, data analysis, systems decisions and supplier selection and management needed to improve customer management. He also lectures and researches on new business models. Merlin is an Honorary Life Fellow of the UK's Institute of Direct and Digital Marketing, which he helped found, and was awarded their Derek Holder Lifetime Achievement Award (one of the Data IQ Talent Awards) in 2015. He has followed a full academic career, holding senior posts and professorships at several universities, including Henley, Kingston, Surrey and the University of the West of England. He is a Visiting Professor at Portsmouth and Oxford Brookes Universities. 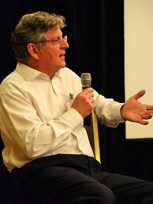 He is on the editorial advisory boards of several academic journals, including the Journal of Research in Interactive Marketing, the Journal of Marketing Analytics, the Journal of Financial Services Marketing, the Journal of Data Protection and Privacy and the Journal of Direct, Data and Digital Marketing Practice. He has a first class honours degree and a doctorate in economics (both from the University of Sussex) and runs a tuition business focusing on management, economics and mathematics. His work in industry, as a manager, consultant and analyst, and in academia, as a leading researcher and teacher, has given him a wealth of experience on which to draw for his speeches, which are full of relevant and practical anecdotes. His experience covers virtually all sectors, though he is best known for his work in airlines and transport, engineering, financial services, information and communications technology, media, pharmaceuticals, professional and personal services, retailing and utilities. His speaking topics range from more specific topics such as the impact of digital marketing (general and on marketing techniques, including data management platforms and programmatic marketing), customer relationship management, data protection and privacy (including regulation), success in marketing, success in marketing and selling through distributors and intermediaries and the role of customer service, to more general topics such as governance and ethics in business (including environmental issues), good and bad regulation and the state of the economy – from boom to bust, including Brexit.